The residents of the village of Yabad to south of Jenin to the north of the West Bank were surprised on Saturday 6 May, 2017 by the Israeli occupation authorities’ military order to confiscate about 10,000 dunums of the village’s lands as part of an ongoing plan to target the village. 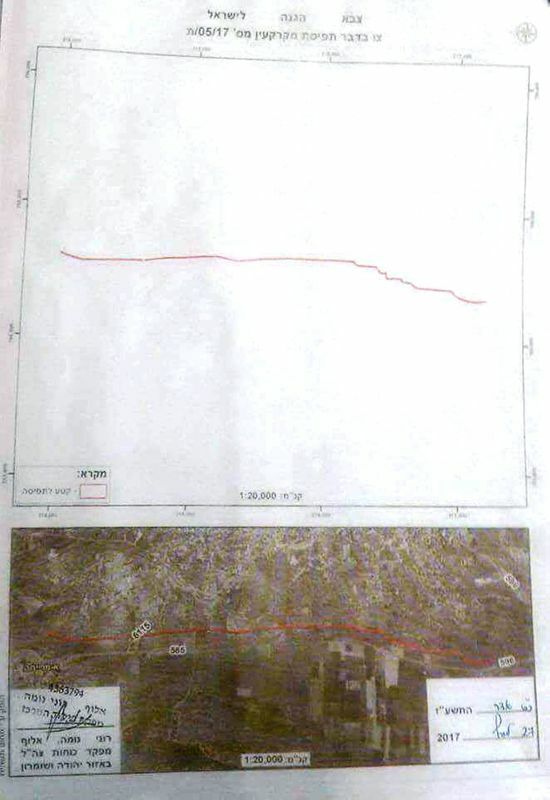 The (IOA) handed over a decision to the Yabad inhabitants, which states confiscating land from the village at a total of 9,858 dunums of land, along the adjacent street to the south of the village, in a clear violation of private property of citizens. The IOA informed the citizens in an arbitrary manner that their land was confiscated, noting that vast fields of these lands are planted with olives. Ahmed Abu Bakr told the PIC, “We were surprised by the IOA decision, which officially declared the confiscation of our land that we have been denied access to for years in the Sahl area.” The IOA published a list of names of citizens whose lands were confiscated. Hassan Abu Shamla, who lives in Yabad, opined that the prevailing security conditions in the region is only an excuse to take over as much land as possible, to serve the expansion policy of the Israeli occupation. The Israeli occupation authorities issued a list, which includes 59 of the affected people as a result of this order, in the town of Yabad. They were all shocked by the decision, becoming without a land overnight, which they planted and tended for years. Aballah Hamarsheh told the PIC reporter that these lands were not abandoned, nor neglected, and they were taken care of by their owners, and were full of olive and fruit trees: the best lands in town. 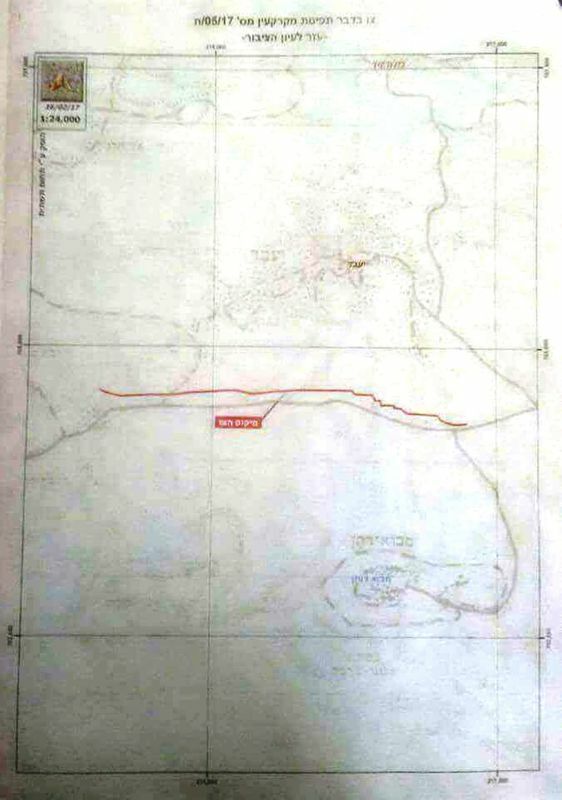 He added, “The IOA wants to establish a geographical connection with the settlement of Mevo Dotan at the expense of our land”, noting that fencing these lands and confiscating them means separating the town of Yabad from the settlement. The decision to confiscate the land came in line with larger series of restrictions imposed on the people of Yabad during the last two years. 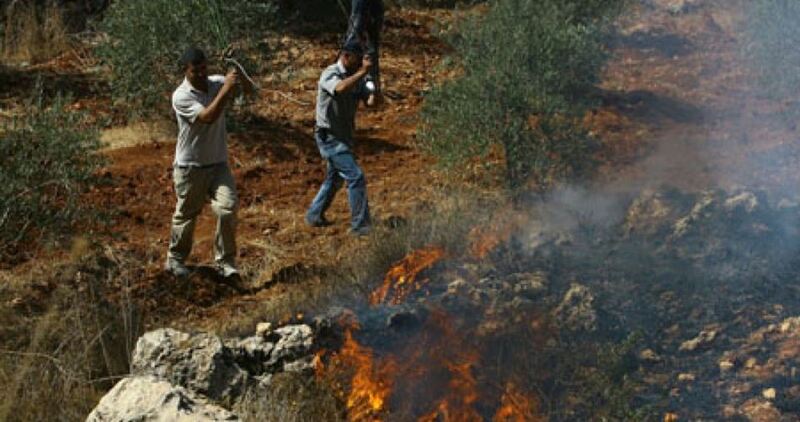 The IOA ended the work of charcoal-producers in the town claiming that the resulting emissions annoy the settlers of Mevo Dotan settlement, noting that Yabad is the main center for charcoal-production in Palestine. The town is also subjected to continuous raids and arrests, and is systematically harassed by barriers and collective punishment measures, which increases the suffering of its inhabitants. 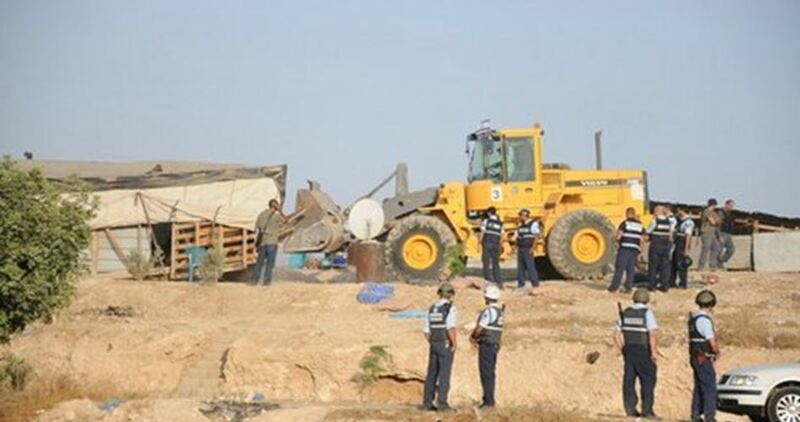 Israeli occupation bulldozers razed on Wednesday morning 10 Palestinian structures in the Negev under the claim of lacking construction permits. 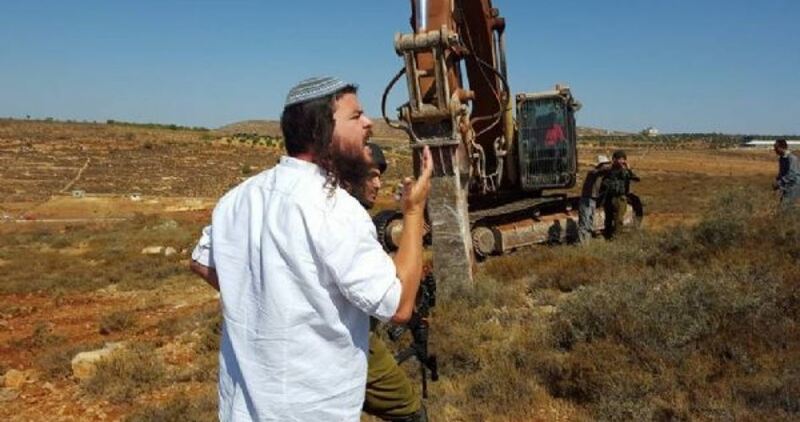 Quds Press quoted the Palestinian activist, Khaled Abu Kharma, as saying that Israeli policemen stormed Sawa Bedouin village in the morning and demolished structures owned by al-Qasasi and al-Khawatra families. The demolition affected eight homes, a stable for horses and a stockyard, Quds Press added. Israeli authorities do not recognize around 50 Palestinian villages in the Negev and keep targeting Palestinian homes in that area with demolition in order to make room for constructing Jewish-only towns. The Israeli occupation army on Tuesday morning demolished Palestinian crude homes and animal shelters in the Bedouin village of Jiftlik in the central Jordan Valley. 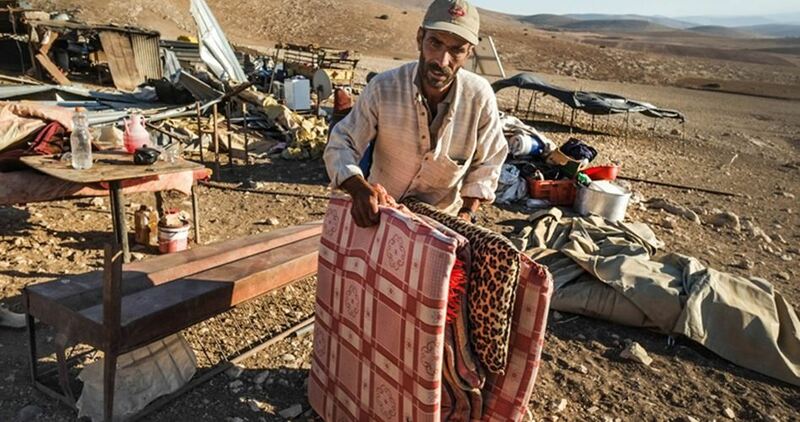 Chief of the village Othman Anouz reported that Israeli bulldozers razed two shanties and displaced their residents as well as two animal shelters at the pretext of unlicensed construction. The Israeli army, every once in a while, launches demolition campaigns in Palestinian hamlets of the Jordan Valley in order to force their native residents to leave their areas as a prelude to building settlements in their place. Israeli soldiers invaded, on Tuesday at dawn, many Palestinian communities in various parts of the occupied West Bank, searched and ransacked dozens of homes, in addition to three lathe workshops, and abducted at least sixteen Palestinians. 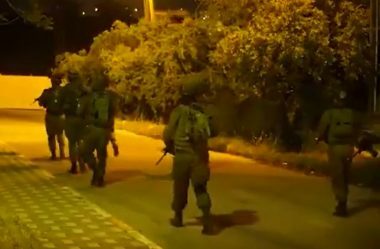 The soldiers also summoned one Palestinian, identified as Jom’a Mohammad Abdul-Jalil, 24, from Teqoua’ town, east of Bethlehem, for interrogation in Etzion military base and security center, south of Bethlehem. Furthermore, the soldiers shot and mildly injured two young Palestinian men, during clashes that erupted after the army invaded Azzoun town, east of Qalqilia, in the northern part of the occupied West Bank. Emad Jadallah, from Doura – Hebron. Monir Abu Sharara, from Doura – Hebron. Ja’far Abu ‘Arqoub, from Doura – Hebron. Osama Abu ‘Arqoub, from Doura – Hebron. Jamal Talahma, from Doura – Hebron. Husam Yousef al-‘Amayra, from Doura – Hebron. Amjad Essam al-Ja’bari, from Hebron. Mohammad Aref al-Amour, 18, Teqoua town – Bethlehem. Riyad Aref al-Amour, 14, Teqoua town – Bethlehem. Omar Jihad Salim, Jayyous – Qalqilia. Jihad Sobhi Khreisha, Jayyous – Qalqilia. Ahmad Adel, Jayyous – Qalqilia. Sa’id Miskawi, Balata refugee camp, Nablus. The Israeli occupation forces (IOF) on Thursday morning knocked down three Palestinian homes west of Bethlehem province, in the southern West Bank. 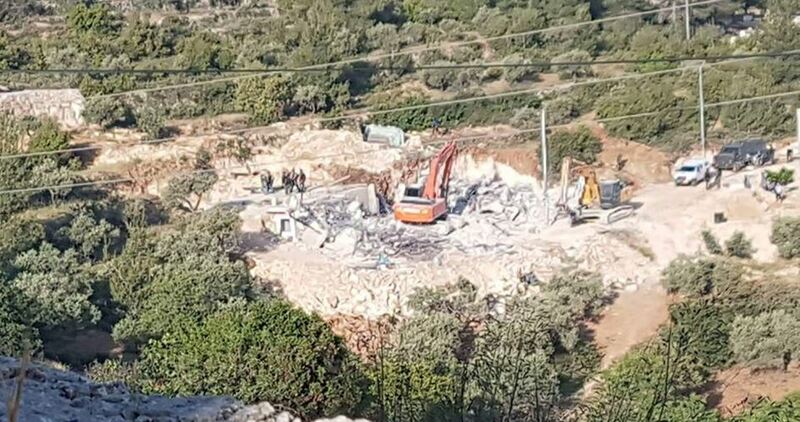 A PIC news correspondent said the occupation soldiers cordoned off Ein Jweiza area, in al-Walaja village, west of Bethlehem, shortly before a flock of bulldozers started the demolition of three homes owned by the Palestinian citizen Ibrahim Neiroukh and the two brothers Hamed and Raed Abu Sneina. The occupation soldiers ordered the families to evacuate their homes in no more than 10 minutes before they reduced the buildings to rubble. The demolition process targeted a two-story home covering 400 square meters and two apartments under construction, with an estimated area of 150 square meters each. Last week, the Israeli forces notified the demolition of the buildings and ordered the families to refer the matter to the court. However, the demolitions were carried out prior to the final court rule and under the pretext of unlicensed construction. Israeli occupation bulldozers on Thursday morning knocked down Palestinian structures in al-Issawiya town, in central Occupied Jerusalem. 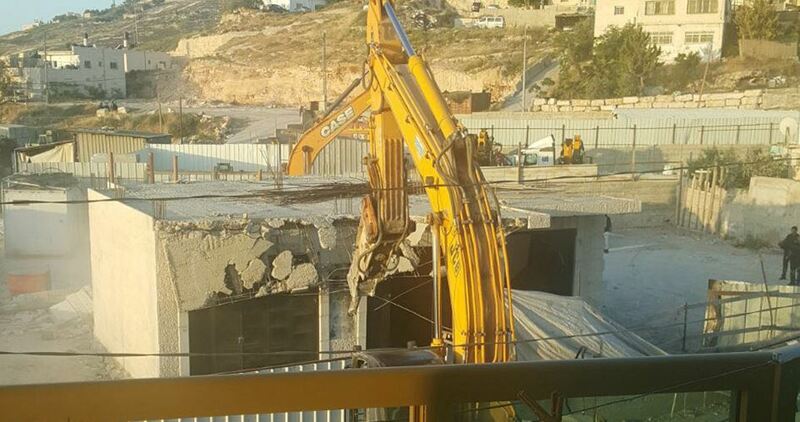 According to the Wadi Hilweh Information Center, 12 Palestinian structures were demolished by the Israeli forces during April, three among which following self-demolition orders. The demolished structures included three homes, two residential barracks, and a livestock barrack, along with six walls and iron gates. Jabal al-Mukabir topped the list with four structures, followed by al-Issawiya with five walls and gates. Other structures were knocked down in Beit Safafa, Beit Hanina, and al-Tur. Some 30 family members, among whom 20 children, have gone homeless as a result of the April demolitions, mostly carried out under the unlicensed construction pretext. In April, the Israeli municipality ruled for closing and evacuating three residential apartments belonging to the Palestinian Aweida family in Wadi Hilweh, in Silwan, due to the fissures rocking the walls and foundations of the buildings as a result of the Israeli excavations. The targeted buildings are home to 16 members, including 10 children. Israeli soldiers abducted, on Thursday at dawn, at least eight Palestinians, seven of them during extensive and violent searches of homes, and one who was abducted from his work in occupied Jerusalem. 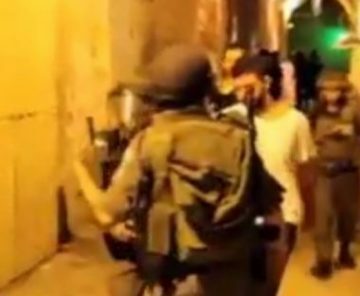 The Hebron office of the Palestinian Prisoners’ Society (PPS) said the soldiers invaded Beit Ummar town, north of the city, searched many homes and abducted two former political prisoners, identified as Mohammad Jamal Abu Mariya, 21, and Hussein Ramzi al-‘Allami, 22. The soldiers also smashed the front door of a home, belonging to Yousef Mohammad Bahar, and ransacked the property after breaking into it, and searched a garage owned by his son, Mohammad. Also in Hebron, the soldiers invaded homes in Yatta town south of the city, and abducted a former political prisoner, identified as Khalil Hammad Zein, after searching his home, and the home of his brother Zein. 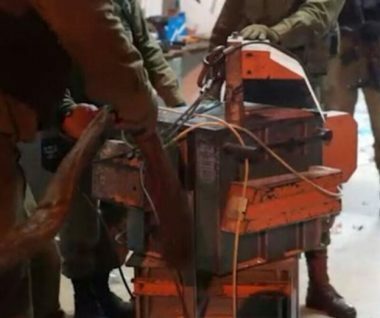 The soldiers also searched a blacksmith’s workshop, owned by Mahmoud Zein, and confiscated several machines, reportedly for being used to manufacture weapons. In the al-Fawwar refugee camp, south of Hebron, the soldiers searched homes and summoned for interrogation two former political prisoners, identified as Sami Janazra and Othman Abu Arram. In related news, the soldiers invaded Abu Dis town, southeast of occupied East Jerusalem, searched homes and Abducted a young man, identified as Eyad Nabil Jaffal. Furthermore, the soldiers invaded Bal’a town, east of the northern West Bank city of Tulkarem, searched several homes and abducted Ahmad Aref Zreiqi, 25. In Nablus, in northern West Bank, the soldiers invaded Huwwara town, south of the city, and abducted Waleed Khaled Nimir, after searching his home. Another Palestinian, identified as Mohammad Mustafa ‘Aseeda, 20, was abducted from his home in Tal village, south of Nablus, while Ahmad Lutfi Marshoud, from Balata refugee camp, east of Nablus, while abducted from his work in Jerusalem. 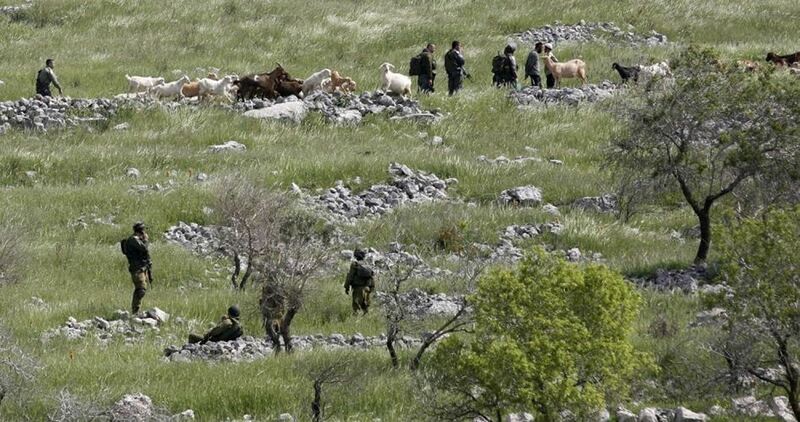 Israeli Occupation Forces (IOF) attacked a Palestinian farmer, Ashraf Abu Dhaile, on Wednesday afternoon in al-Bekaia area in the northern Jordan Valley. 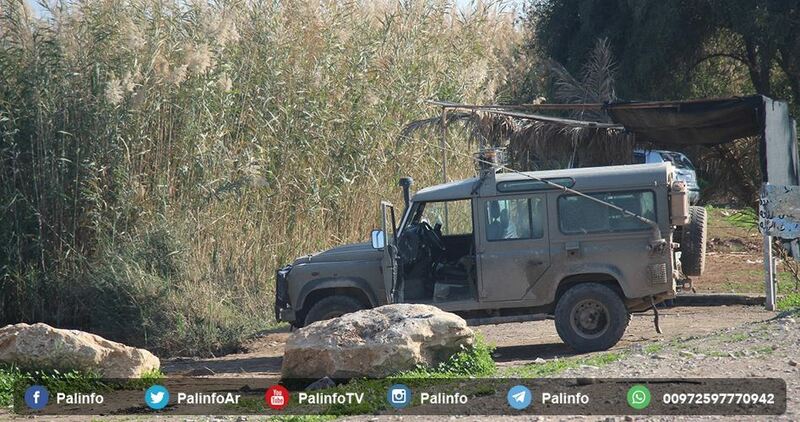 The IOF soldiers confiscated his tractor and a water tank. Local sources told the PIC reporter that the IOF troops handed him a summons after confiscating his properties. The sources added that Israeli forces intensively target the area of the northern Jordan Valley. They deliberately ban Palestinian inhabitants from using water springs in the area and intentionally ruin water networks. The Palestinian citizens then have to transfer water via expensive water tanks which usually get confiscated by the IOF soldiers as well.